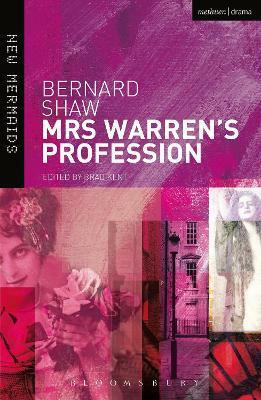 Shaw's 1893 play centres on the mother and daughter relationship between Kitty Warren and her Cambridge-educated daughter, Vivie, who is currently enjoying a comfortable and financially untroubled life. Kitty's own upbringing was far from easy, however, and meant that she eventually had to make money through prostitution and then through the management of several brothels. When Vivie discovers that her mother brought her up and funded Vivie's Cambridge education on the money made from these pursuits, she is horrified and can barely cope. What's more, Vivie discovers that her mother's brothels are still in operation. Students will find a wealth of information in this text to guide their studies: an extended introduction exploring the theatrical and historical context, critical reactions, background on the author, and stage history. It also includes Shaw's original Preface, and the play itself contains numerous notes and explanations throughout to aid students' understanding. Brad Kent is Associate Professor of British and Irish Literatures at Universite Laval in Quebec City and the programme director for the International Shaw Society's annual colloquium series at the Shaw Festival in Niagara-on-the-Lake, Canada. He has published widely on Bernard Shaw, Irish Literature, and the cultural politics of censorship.